Commissioned by Block Universe with the support of Somerset House Studios and Gaia Art Foundation. We acknowledge the support of the Canada Council for the Arts, which last year invested $153 million to bring the arts to Canadians throughout the country. 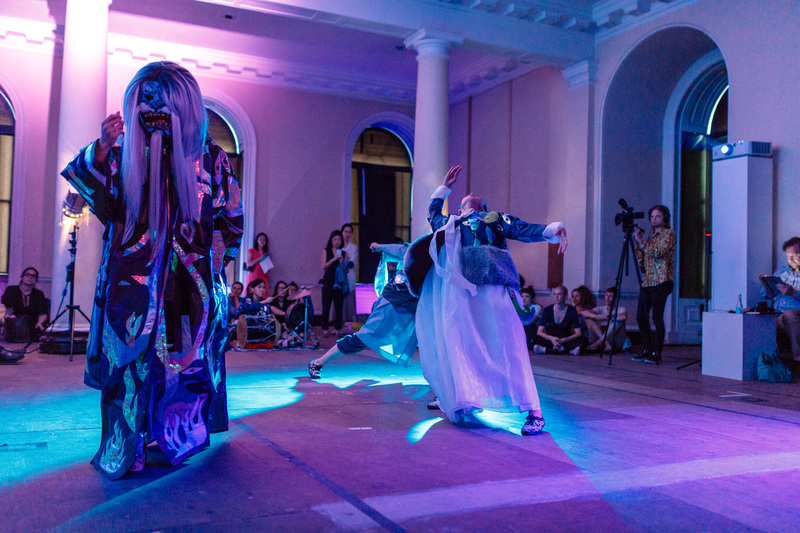 Creating an immersive environment for this performance at the Lancaster Rooms at Somerset House, Zadie Xa’s work interrogates ideas of authentic versus inherited positions and displacement within the Asian diaspora. Through a fantastical overlayering of cultural references, Crash, Boom, Hisssssss. Legend of the Liquid Sword will transport the audience into a supernatural narrative inhabited by shamanistic beings, based on Manshin (Korean shaman) and loosely inspired by Pansori, a Korean genre of musical storytelling performed by a vocalist and a drummer. A performance by Zadie Xa with Jane Chan, Jihye Kim and Joonhong Min. Written by Taylor Le Melle. Costumes by Benito Mayor Vallejo and Zadie Xa. Zadie Xa (b. 1983, Vancouver) is a London-based Canadian artist. 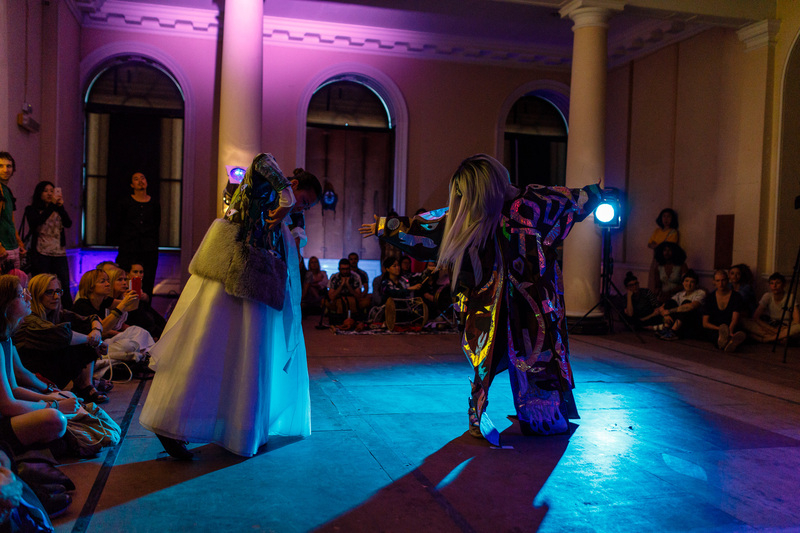 Through performance, video, painting and textiles, Xa interrogates the overlapping and conflation of cultures that inform self-conceptualized identities, notions of self and her experience within the Asian diasporas. Upcoming exhibitions and performances include Pumphouse Gallery, London, programmed by PS/Y as part of Hysteria 2017, Aga Khan Museum, Toronto, and Rehearsals from the Korean Avant-Garde Performance Archive, Korean Cultural Centre UK, London.